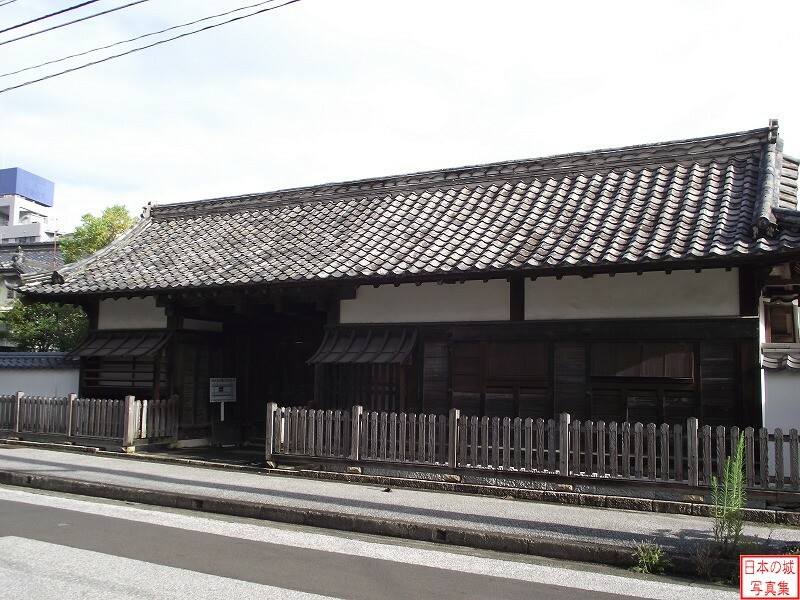 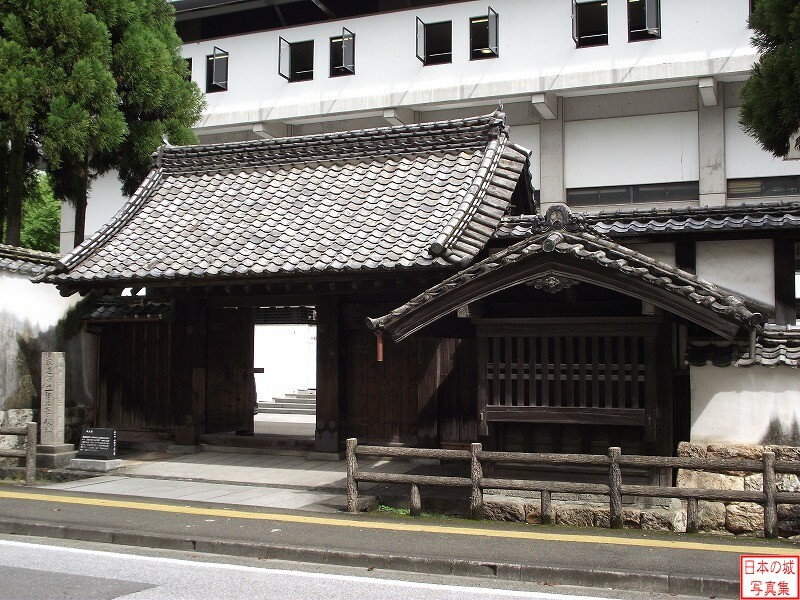 The land that the current Kouchi-jo is in had another one, Otakasakayama-jo, built by Motochika Chosokabe in the 15th year of Tensho era (1587). 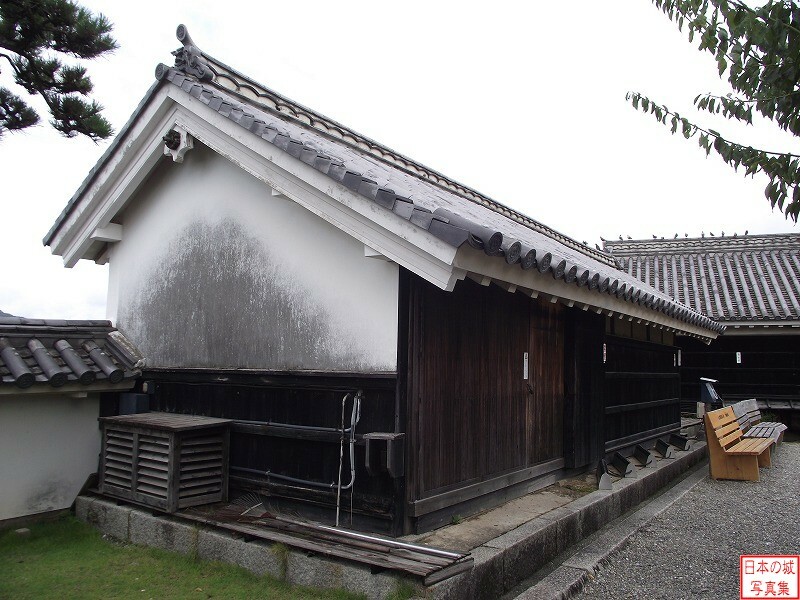 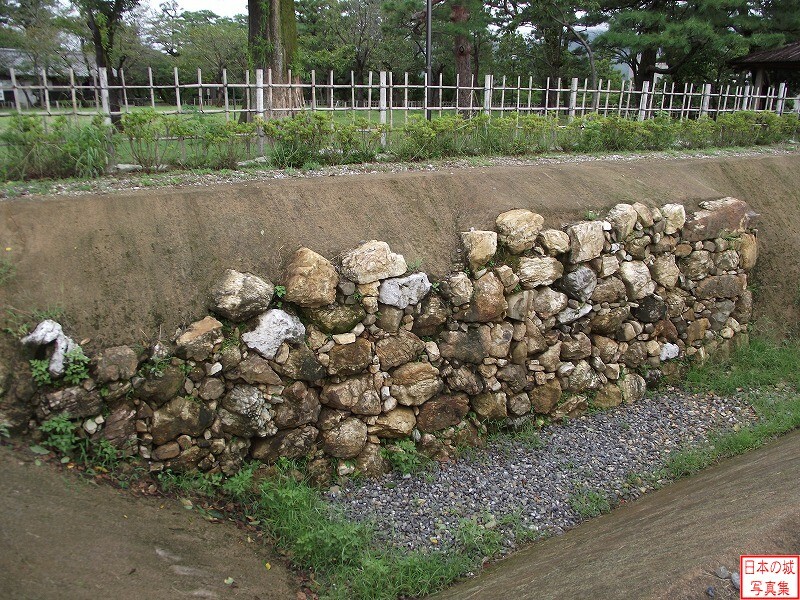 However, the drainage system was poor, and Motochika moved to Urato-jo after it was finished. 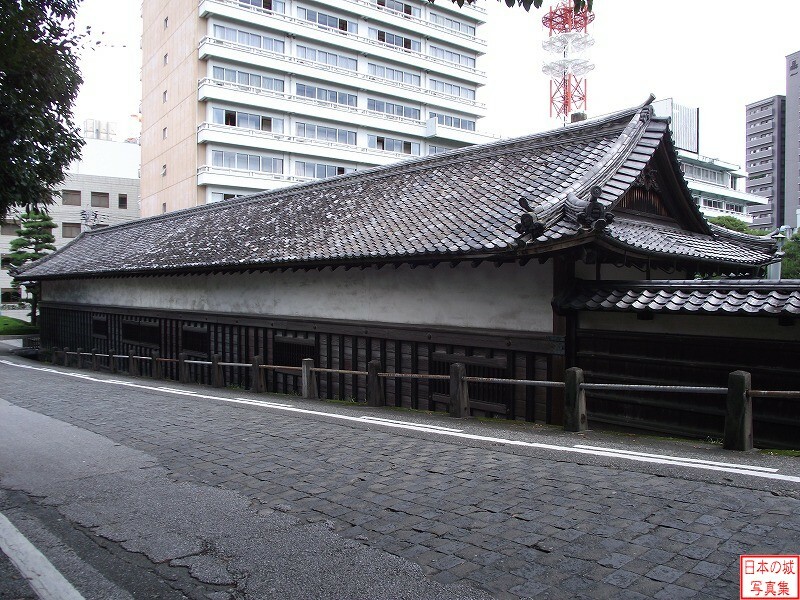 After that, Katsutoko Yamauchi was given Tosa for his deeds in the Battle of Sekigahara, and occupied Urato-jo at first. 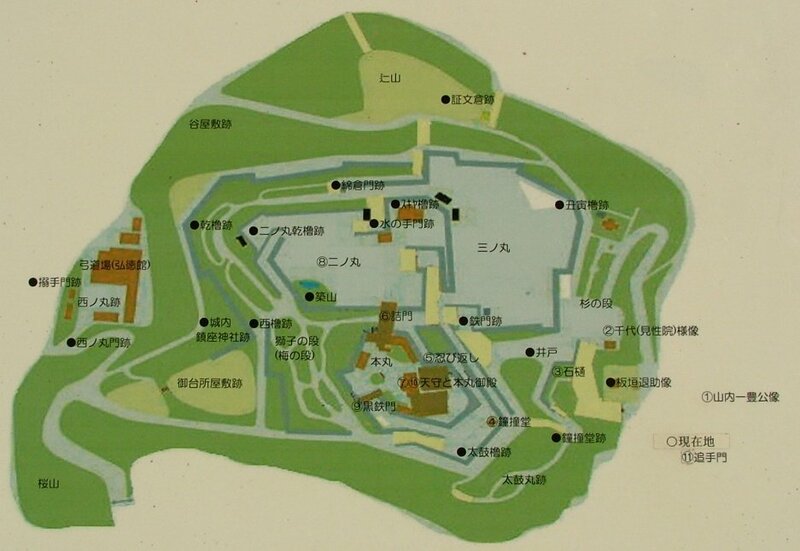 However, as Urato-jo was suited for water routes, it was unable to make a big castle town. 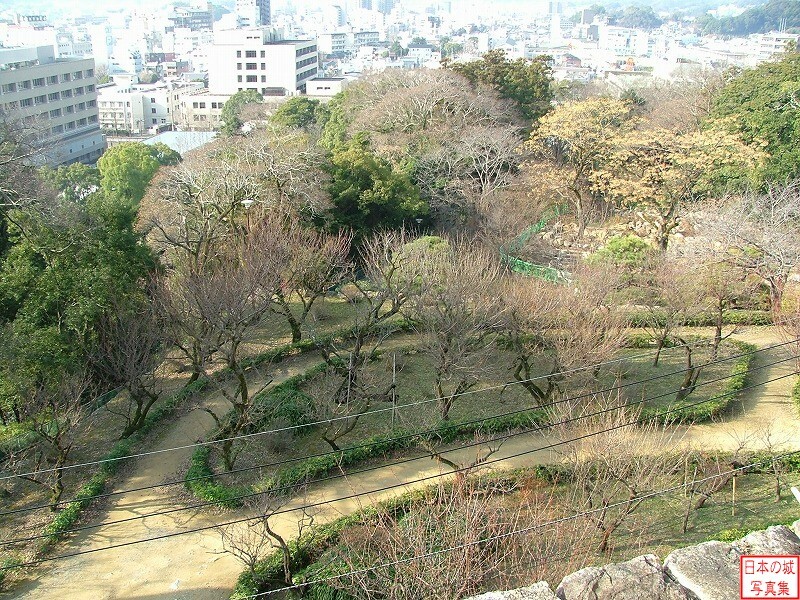 For that purpose, he set eyes on Mt. 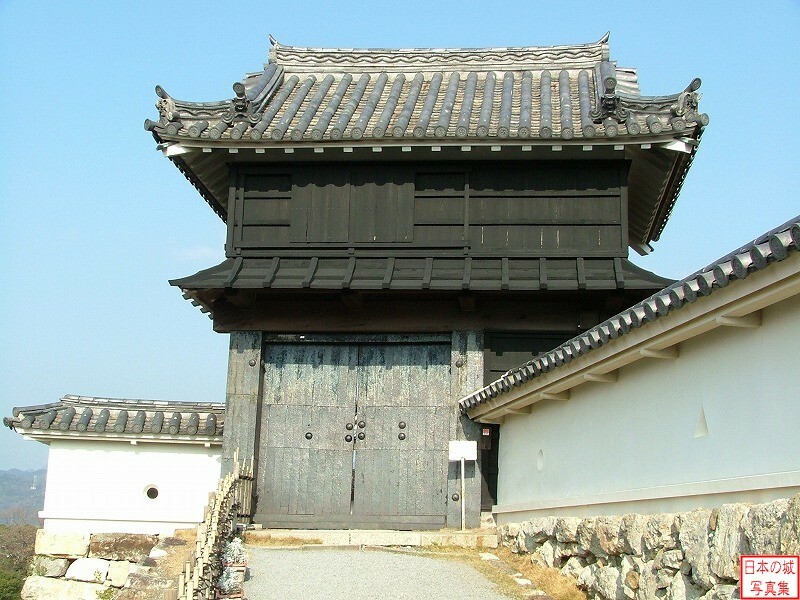 Otakasaka, and built a castle there. 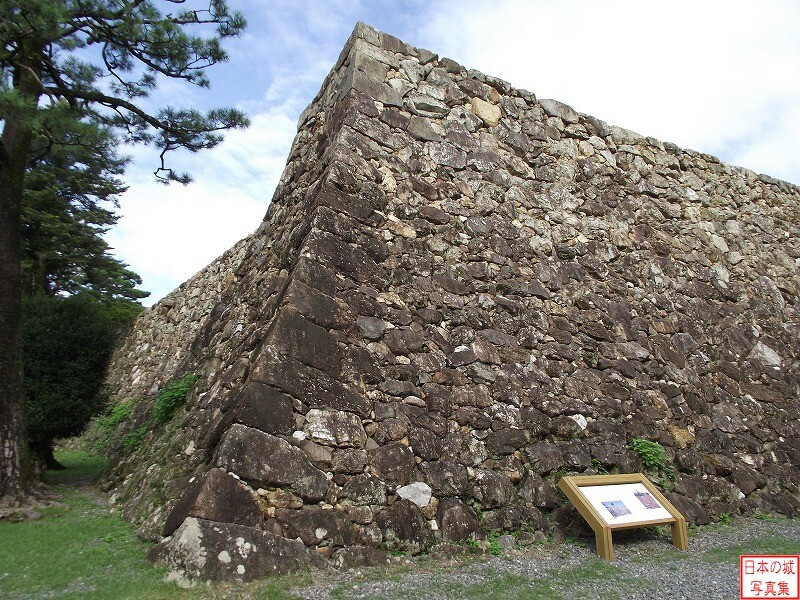 Its construction started in the 6th year of Keicho era (1601), and the inner citadel (Honmaru) was finished in 1603, with the entire castle finishing in 1611. 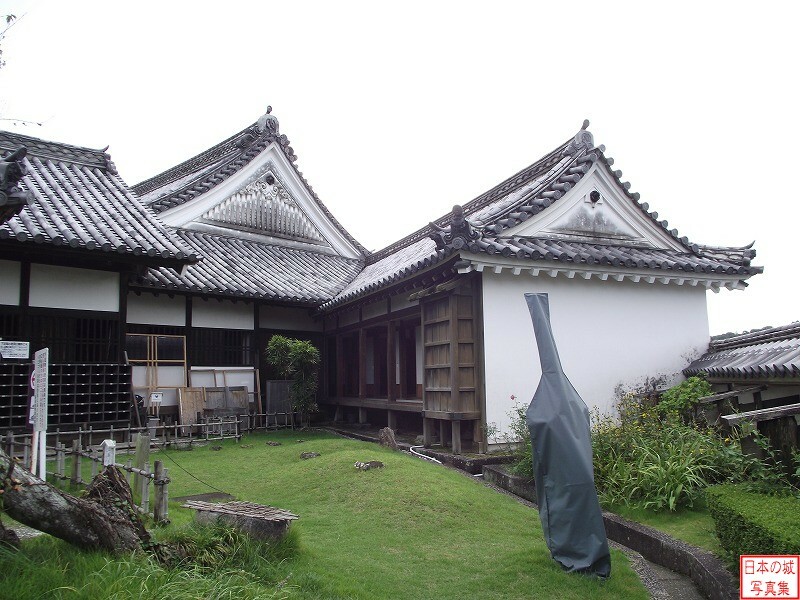 During this time, Katsutoyo passed away, leaving the second generation Tadayoshi to take over. 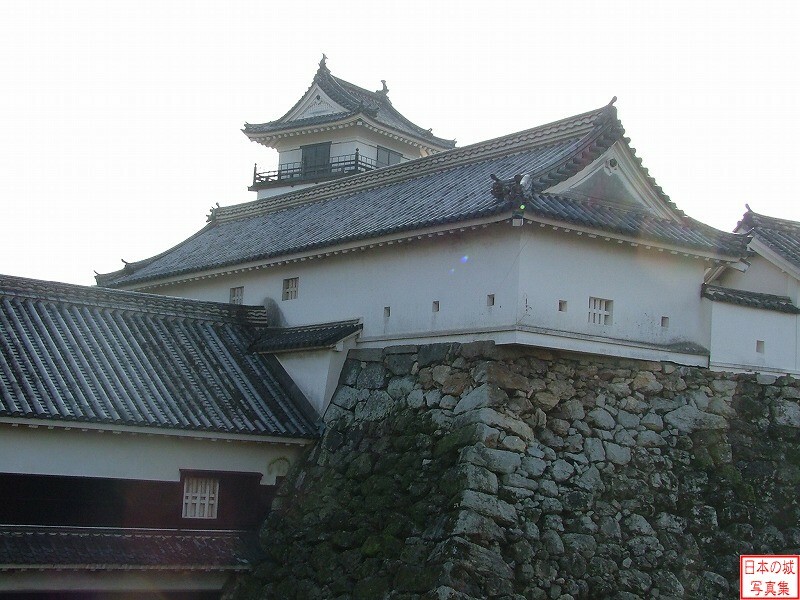 The castle tower was built, but in the 12th year of Kyoho era (1727) a large fire broke out, and most of the castle along with the castle tower were lost. 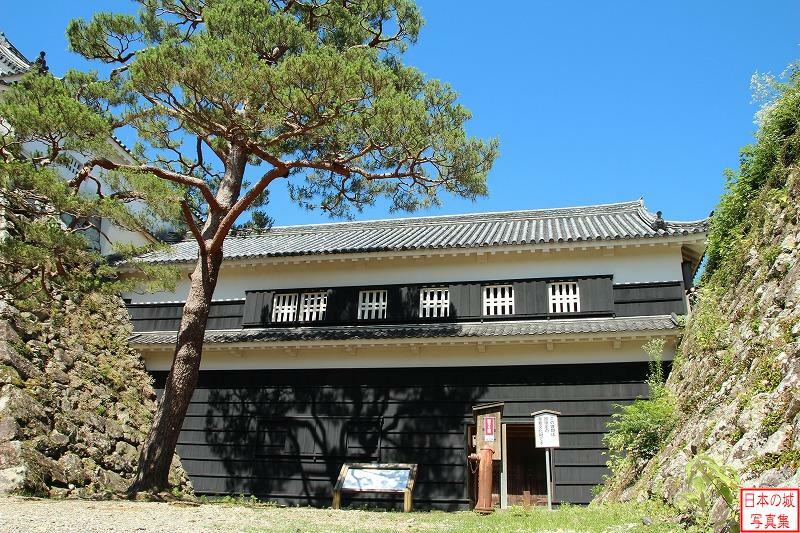 After that, the burnt castle was rebuilt, and finished in the 1st year of Kan'ei era (1748). 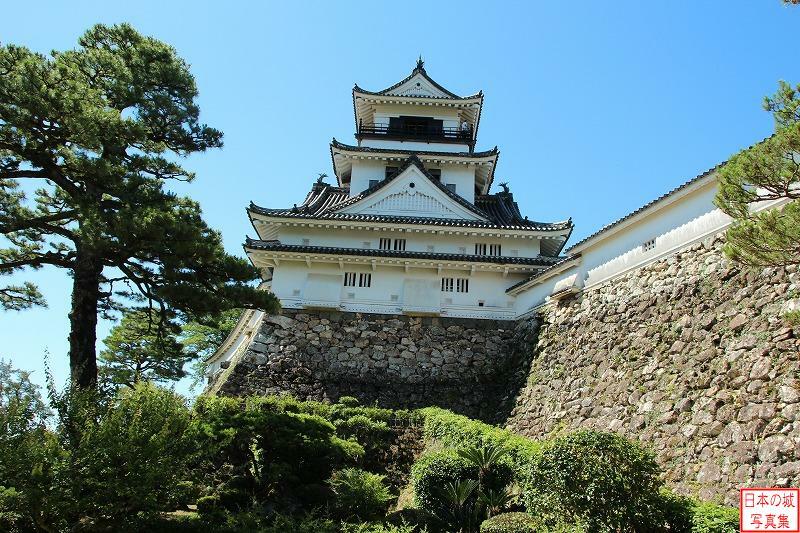 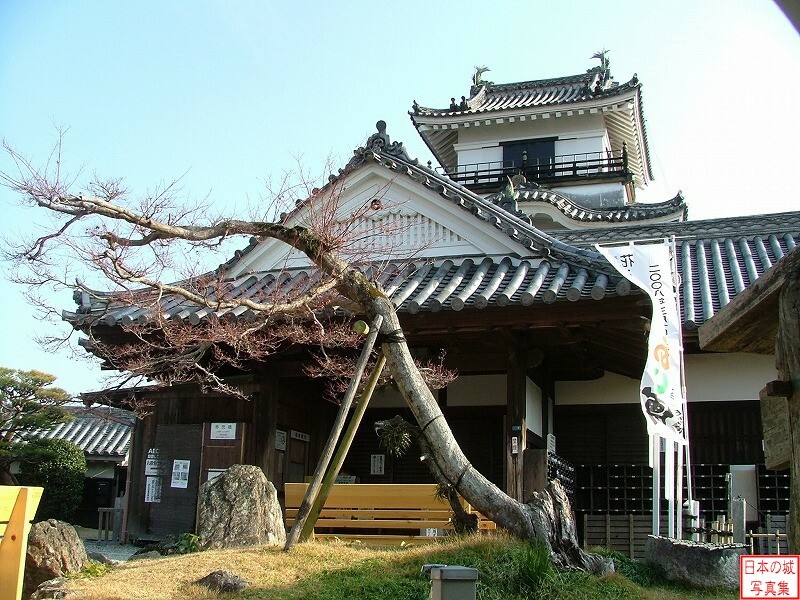 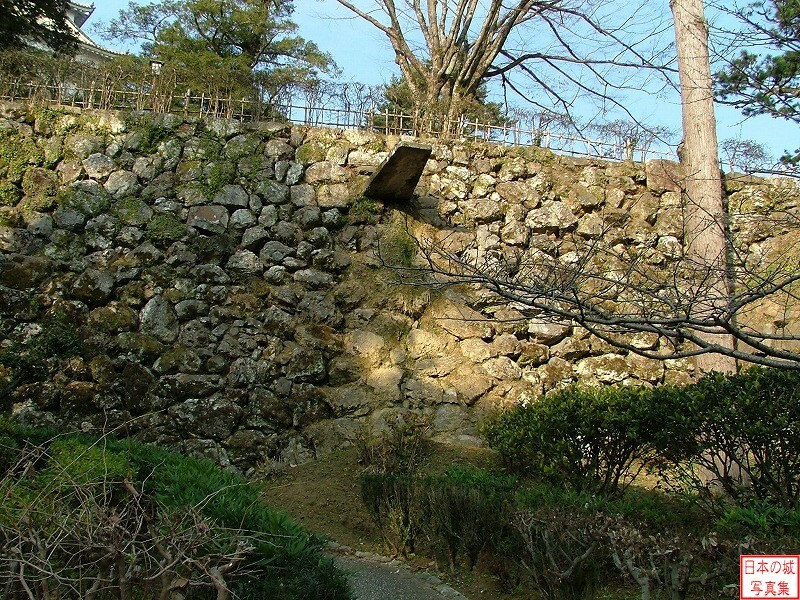 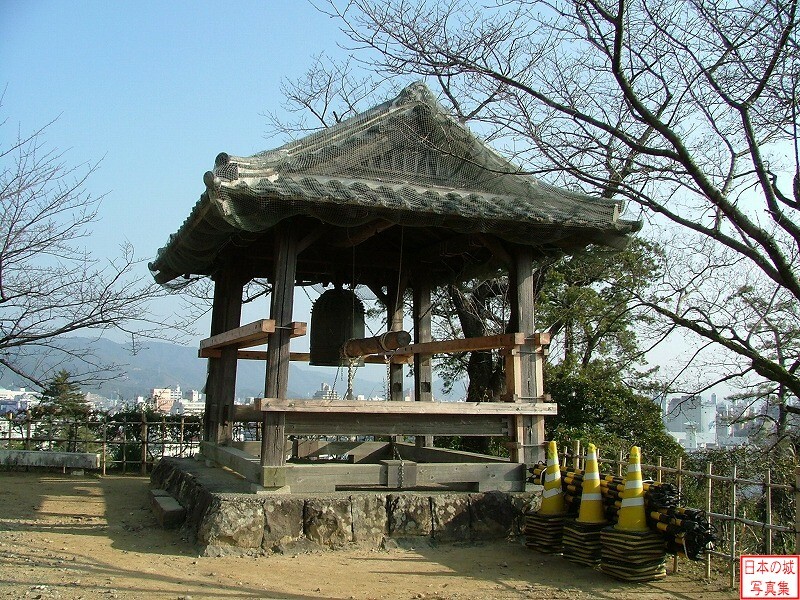 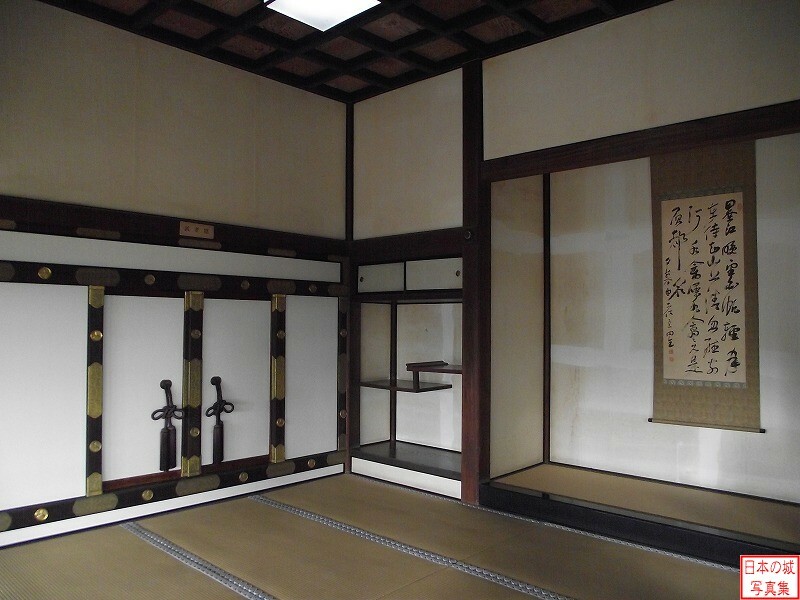 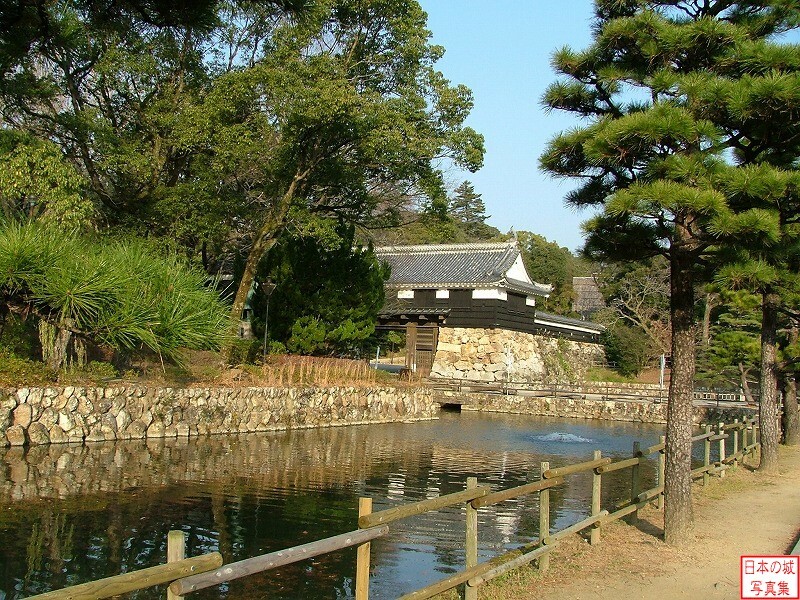 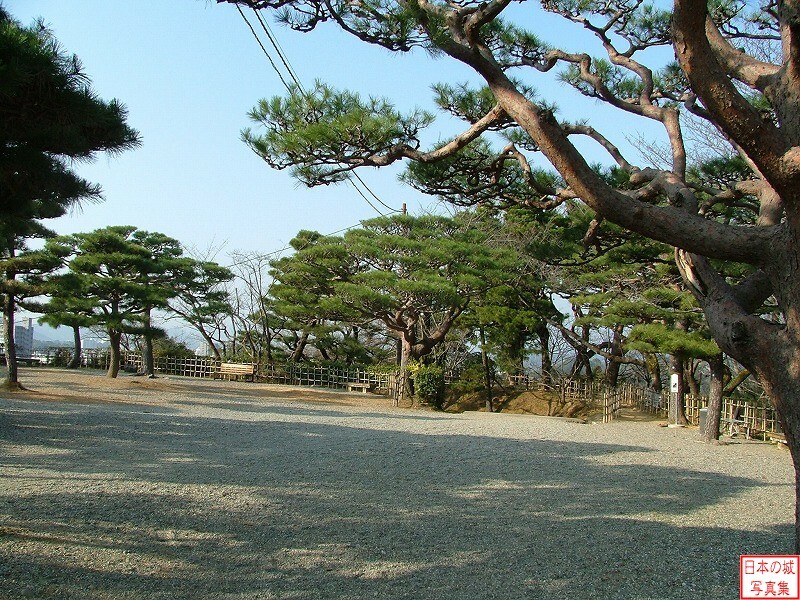 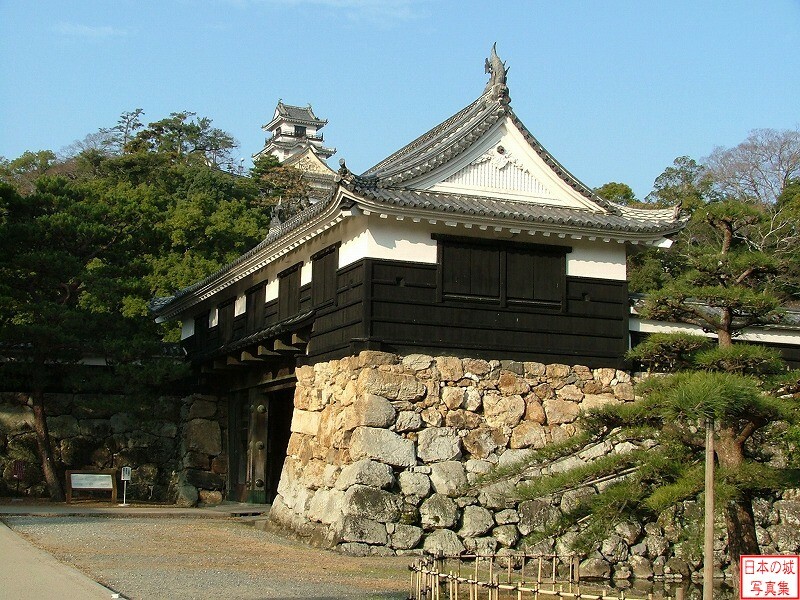 The castle tower, Otemon and the inner citadels (Honmaru Goten) still remain intact today.